Fluent in seven languages, Singapore native Francis Yip is the Managing Director for LivFul Asia Pacific, a Singapore biotechnology company, and serves on the boards of several companies in the Asia-Pacific region. In a career spanning more than 30 years, he has held many senior executive positions with blue-chip technology companies. He is also an avid golfer – and achieved his first hole-in-one in January 2017. Although Francis C.C. Yip (’90) has travelled the world and is fluent in seven languages, he says his first experience of multicultural living was as an Acadia business student. A native of Singapore, Yip has lived in five Asia-Pacific countries and is now the Managing Director for LivFul Asia Pacific, a biotechnology company in Singapore. Before assuming his current role, he gained more than 30 years’ experience in IT and telecommunications and held senior executive positions with blue-chip technology companies such as Verizon, Dimension Data, Orange and IBM. Yip’s career is demanding – in addition to his position with LivFul, he sits on the boards of several companies in the Asia-Pacific region – but he is also an avid golfer and points with pride to having achieved his first hole-in-one in January 2017. He has also worked closely with international groups and government bodies. 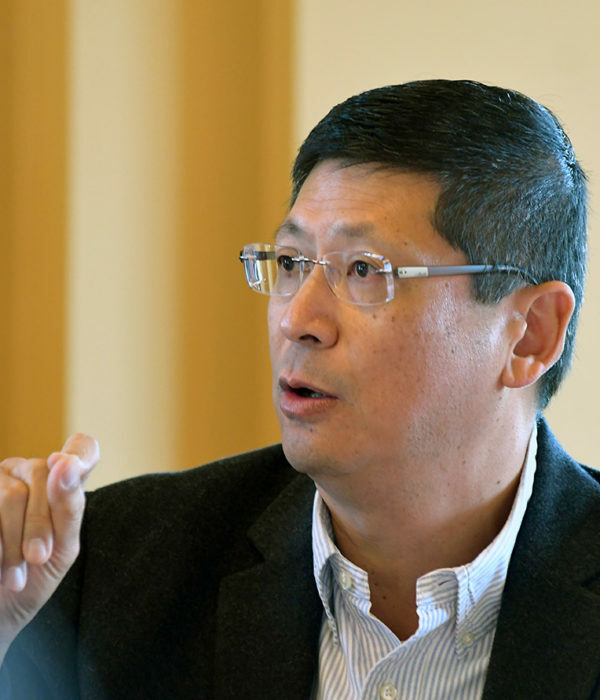 He co-chaired the European Union Chamber of Commerce IT Working Group in China and was a policy advisor on network security to the Chinese Ministry of Information Industry. As a result of his experience at Acadia, he wanted to give back. He donated to help fund the ambitious renovation in 2015 of Patterson Hall, the new home of the F.C. Manning School of Business. With money Yip gave, a classroom was built and named in honour and memory of one of his professors, Paul Tom.